Proptech Ireland has been working with Smart Docklands to find ways to boost participation of proptech startups and providers in the Smart Dubin/Smart Docklands testbed. 1.There is an incubator-type development for Cycle/Mobility Technology companies happening as part of Velo-City 2019 from 25th to 28th of June 2019. 2. 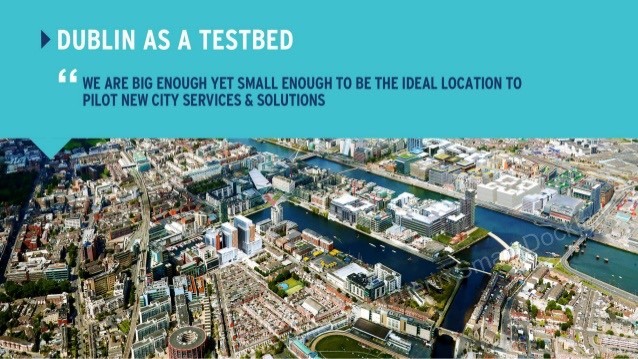 Launch for the 5G test bed happening in the Docklands – and facilitating the right building/connectivity/AR/VR start ups to trial the network. Tentative launch in Aug-Oct 2019. 3. Hackathon for the recently commissioned 3D model of the Docklands, which will be held at 1WML together with Autodesk, from the 10th to 12th of May.